Last night’s Real Life Style LIVE show on MomTV was all about back to school for moms and kids! I gave away a gorgeous momAgenda Desktop planner, and now I have another one to give away to a lucky reader…maybe YOU! If you missed it, here’s a tape of the show in which I discuss the momAgenda Desktop, the Handbag Handcuff, and kids’ back to school clothing items at Burlington, Vans and The Children’s Place. I have vlogged, blogged and said it before and I will gladly say it again: the momAgenda Desktop Day Planner has overhauled my family and work scheduling. It is a must-have back to school product for ME. This planner is where I store all of my personal, work, family and the children’s commitments. 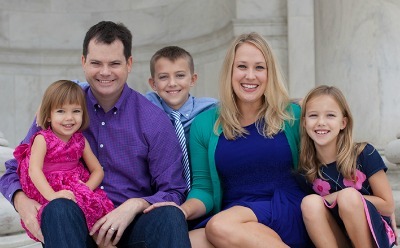 From freelance writing deadlines to conference calls to ballet classes to chess tournaments to birthday parties to travel, every single requirement of our family’s five lives are written down here and kept in order. 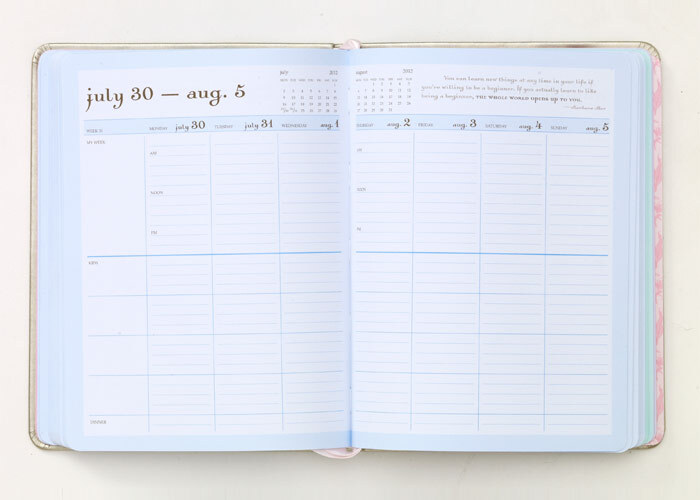 I am excited to offer YOU the chance to win one of the latest momAgenda Desktop planners! The winner can choose her favorite chic color: Tiffany blue, raspberry pink, vivid orange or stylish leopard. Enter to win via the Rafflecopter form at the end of this post. The first product we discussed on the MomTV broadcast was my newest obsession, the Handbag Handcuff. This genius invention by mompreneur Beth Corets keeps your handbag from toppling over or going flying in your car when you brake. You secure one carabiner to your passenger headrest post and the second carabiner to the strap of your bag. This little baby has been keeping my purses neat, unscuffed and all the contents secure. The Handbag Handcuff also works to secure your bags to your stroller, shopping cart, luggage in an airport, allows for carrying multiple grocery bags and more. It is crafted of beautiful leather and hardware and using it in my car is not only keeping everything organized, it is making me feel all ladylike and Grace Kellyish. That’s a good feeling. Coupon alert: All blog readers can receive 15 percent off their own Handbag Handcuffs by entering coupon code HH-PSS15P at checkout! Back to school madness has taken over this popular discount shopping destination. All items for kids age toddler to teen are priced up to 65 percent off. When pulling items at a nearby Burlington for an upcoming local news fashion show (I got to play stylist, it was maje…just kidding), I was impressed by the high quality and brand name clothing and shoes available for kids and priced considerably less than at the department stores. And unlike many other marked-down stores, you can shop Burlington online. I also appreciate Burlington’s commitment to helping children with leukemia and blood cancers by serving as the major sponsor of the Leukemia and Lymphoma Society Light the Night Walk. When you make a purchase at Burlington, you are given the option to purchase a balloon and your donation goes to directly to assisting children fighting cancer. Slip on shoes to make getting out the door on school mornings as easy as possible? Yes sirree, I’ll take three! I love Vans stores. They carry sizes for itty bitties to adults, boys and girls, offer awesome quality shoes and they harken back to my Southern California youth. If you shop online you can even customize your Vans for the full on ’80s surfer brat experience. Coupon alert: Shop Vans online and get free Fedex ground shipping + a $15 eGift certificate when you spend $49 or more! Use code: 49BTS. The place where my kids and I did the most damage for BTS 13 was definitely The Children’s Place. This store is favorite for the kids because they love the colors, playful graphic tees, and trendy styling. I like the high quality construction and that while on-trend, the kids’ fashions are age-appropriate. I also love that The Children’s Place stocks items for all three of my kids, even though we have both genders and a 9 year age span. And the rewards. No where have I ever been a member with such amazing rewards which you can combine. Online notifications of sales and e-coupons? Pull ’em up on your phone when you are checking out or shopping online? Got a mailed coupon in your purse? Add that savings too. Oh, and give them your e-mail address for an additional 15 percent off. Unreal. We saved, LITERALLY, over 60 percent off our total by using coupons at The Children’s Place as well as shopping during Maryland tax free week. Coupon alert: Sign up for My Place Rewards for mega savings. I have used the momAgenda before and given them as gifts – LOVE it! I will use it to get organized this year! I love the momAgenda…..would be great to have a new one! I have never tried momAgenda but really need the help getting our schedules organized! 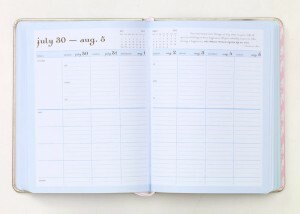 Looks like a great product to help organize schedules! I would use it to keep track of all my meetings and appointments. I would use it to keep track of my busy life with three kids + my job and extra-curricular activities for all! I’ve used & loved momAgenda for years. I need a new one to keep me organized….it would be awesome to win one instead of buy one this year (we moved & my new budget might not allow one this year). I also have three kids, and need all the help I can get to keep our family’s activities scheduled. Thanks for give away. I would use the momagenda to FINALLY get my entire family organized rather than just myself (although I personally could use more support too!). All around, I’m just excited about the chance to get this system for free to try it out for the first time! Thanks for the opportunity! 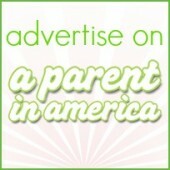 I’d love to use the momagenda to organize our schedules – with two in preschool this year our calendar is already full! Have their kitchen planner and love it. Between school, student council, soccer, piano, tae kwan do, band, gymnastics, being a room parent, heading up a big fundraiser, doctors appointments, dentist appointments…..oh forget it – there’s too much to list! I NEED that planner!!! I’ll use it to keep everyone in my house organized! I have 3 daughters and a busy hubby, so I will use it to try and keep our whole lives organized (and attempt to maintain a semblance of sanity)! I have 4 kids in school this year. I will use it to keep from frying my brain! I love the mom agendas! I also have the all in one folio. Also great for organizing lots of info!! !